Obituary for Doris J Sanders | Robinson & Son Mortuary, Inc.
Doris J. Sanders, 74, of 137 Russell Street, widow of Johnny Sanders, passed away on Sunday, June 17, 2018 at her home. Born in Ninety-Six, she was the daughter of the late Charlie Jackson, Sr. and the late Carrie Aiken Jackson. 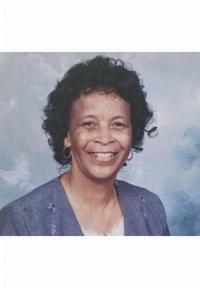 She was a member of the Women’s Home Aide Society #25 and United Methodist Women Organization. She leaves to cherish her memories, one son, Adrian (Jonell) Sanders; one daughter, Angela Sanders; one brother, Timothy (Brenda) Jackson; two sisters, Sarah L. Lomax and Mary Ann (Jimmy) Arnold; five grandchildren; five great-grandchildren and a host of other relatives and friends to mourn her passing. Funeral services will be held 1:00 pm on Friday, June 22, 2018 at Mt. Tabor Baptist Church, conducted by Reverend Joseph Caldwell.